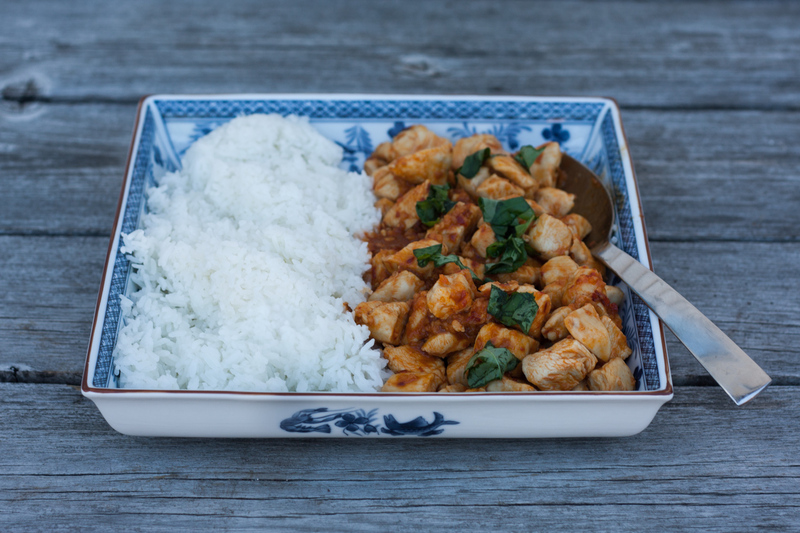 Thai Chicken with Chilies and Basil is the perfect comfort food. Tender pieces of bite-sized chicken nestled in a fragrant spicy sauce with basil added at the end. Served over top of a mound of rice completes this dish. This dish, Thai Basil Chicken is considered comfort food in Thailand. I read about this dish when I was following the news story about the Thai soccer boys trapped in a cave. One of the boys said that the first dish he wanted his mom to cook for him was ‘Gai Pad Krapow’ (Thai Basil Chicken). Comfort food is so very personal. We have a few favourites in our house and they always hit the spot when I serve them at dinnertime. Comfort food can be personal or cultural. 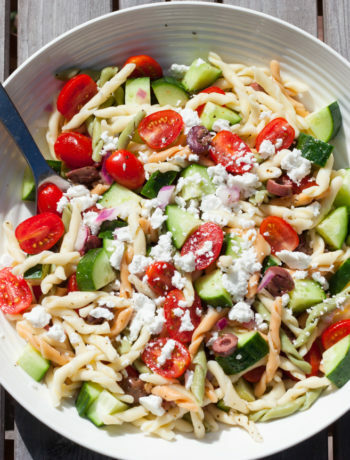 It can also be sentimental and remind us of dishes our moms cooked when we were little. I often prepare our family’s favourite comfort dishes after a stressful week, during a blustery cold winter day or even for a celebration. And my family is always happy when I do. Even the aroma of these dishes cheers everyone up. After following the news story of the thai boys, and learning a bit about Thai people, I was eager to sample comfort food from Thailand. 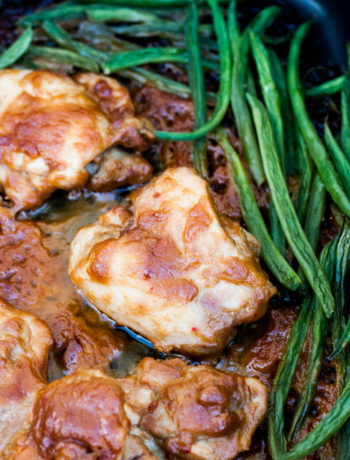 This comfort dish is made from garlic, sambal oelek, soy sauce, fish sauce, sugar, chicken and basil. And it’s a snap to prepare. In Thailand, they make this dish with Holy Basil, which is extremely difficult, if not impossible to find outside of Thailand. I used regular basil from the local supermarket and it tasted delicious. In Thailand they also use local chilies, but I like using sambal oelek, as there is no chopping involved and it is very easy to adjust the amount of heat I want to add to the dish. Thai Chicken with Chilies and Basil is so delicious. 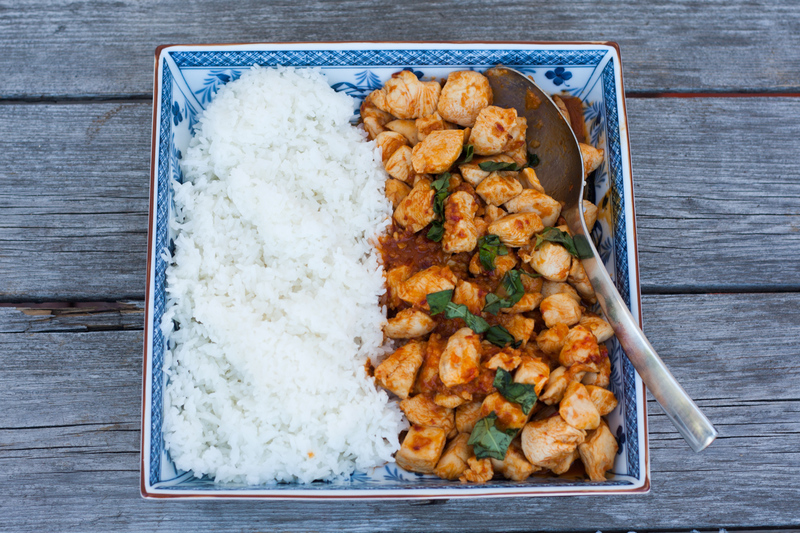 One bite combines a hit of chilies, tender chicken pieces, sweet herbal basil, comforting rice and aromatic fish sauce. It may actually become a new comfort food for our family. What’s your comfort food? Write back and let me know. I’d love to hear from you! 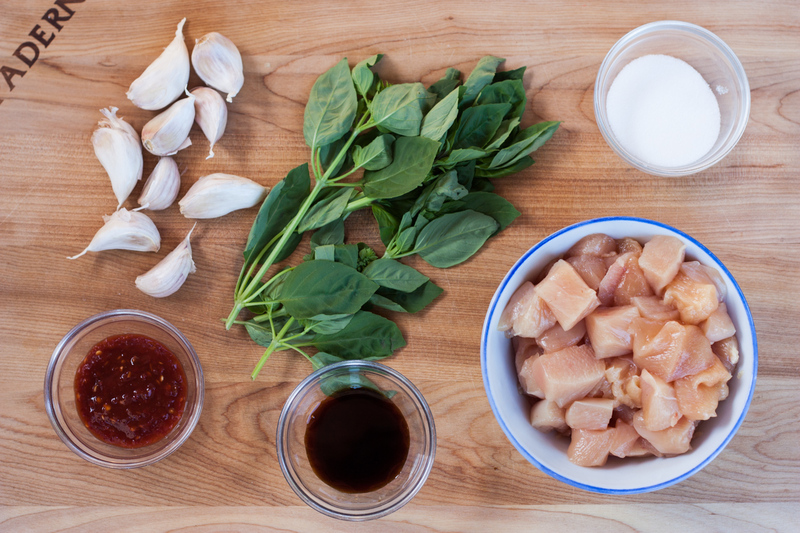 Prep all your ingredients: cut the chicken into bite sized pieces, peel and crush the garlic, measure out the sambal oelek, stir together the soy sauce, fish sauce and sugars and wash and chop the basil. Pour some oil into a frying pan or wok. Add garlic and sambal oelek. Saute until the garlic is fragrant, about 30 seconds or so. Add the chicken. Saute on medium until the chicken is cooked, about 5-8 minutes. 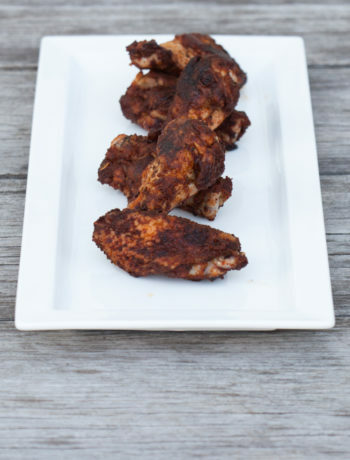 When the chicken is thoroughly cooked, add the soy, fish sauce and sugar mixture. Stir this mixture and continue cooking on medium, until everything is mixed thoroughly. Stir in the basil and then remove from heat.